In preparation for cooler days (hopefully not for a while yet though!) 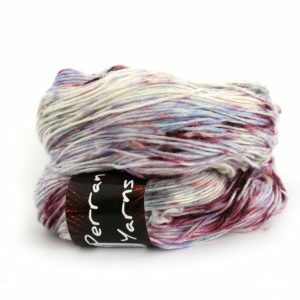 we’ve launched our new Speckle Yarn collection! 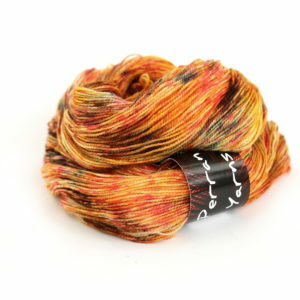 We have small limited edition batches of three colourways, each dyed onto a different yarn base, all available to purchase from our Etsy shop now. Summer In The Garden is a glorious celebration of the colours and tones all around us at this time of year. Dyed onto our luxurious 4ply merino/cashmere/nylon base yarn, this will need just a simple stitch pattern to give a gloriously soft shawl to throw around your neck when those cooler evenings arrive. Sea Mist at Sunset was inspired by a glorious Portreath seascape image on Instagram, taken by the local TheSurferPortreath. 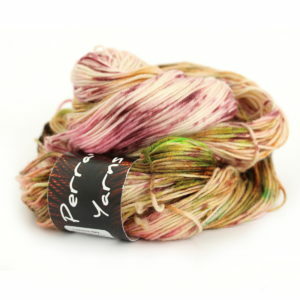 We chose our supersoft lightweight 4ply merino bamboo yarn base for this colourway. Sunset On The Lizard was again inspired by a Cornish sunset photograph shared on Instagram, this time from robedlin. The shades in this colourway shouted out for our 4ply merino with gold sparkle yarn base; the perfect match and ideal for some twinkly toe socks! Choose your favourite speckle before they’re gone!